Dan was born in 1963 and has lived most of his life in Kankakee County. His father, Ben, was one of the last to-your-door milkmen in the county, and his mom, Merry Lou, a 36 year employee of Riverside Medical Center. He is a proud graduate of St. Paul’s Lutheran Grade School and Kankakee Eastridge High School. Dan attended Kankakee Community College, obtaining degrees in Computer Programming and Marketing/Business Management, in addition to a Microcomputer Application Certificate. Dan received Phi Theta Kappa certification at the college, and served as co-editor and was published in Prairie Fire, their literary anthology. While in high school, Dan worked at Riverside Medical Center, starting in the Food Services department, progressing to Computer Operations and Systems Analyst in his 14 years there. Dan started working for the Kankakee County Clerk’s office in January 1994 as Systems Administrator until 2011, when he advanced to the role of Chief Deputy County Clerk. Dan was appointed as Kankakee County Clerk in January, 2018. Dan is active in church, having served as Director of Youth at Good Shepherd Lutheran Church of Bourbonnais, School Board Member and Day School Board Director at St. Paul’s Lutheran School in Bourbonnais. Dan currently volunteers as a lay reader for St. Paul’s Lutheran Church. Dan is also a member of the Hundred Club of Kankakee County. 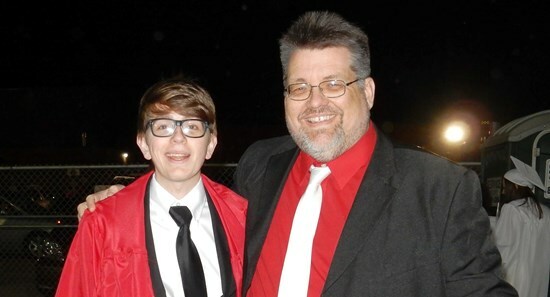 Dan resides in Bourbonnais with his son, Will, who is attending Illinois State University.